Whether I'm talking with clients, the media or moms at play-dates, it seems we're all seeking the same thing this season: connection, purpose, and simplicity in gift giving. With that in mind-here are some of my favorite green gifts and gadgets to help anyone on your list freshen and lighten the eco-impact of their kitchen repertoire. Tools they'll reach for again and again throughout the year. The best part? They entice you to make fresh healthy choices in your diet. What's not to love? This is my #1 favorite gift this year – for kids, cooks, gardeners, or even someone with no green thumb whatsoever and just a heart filled with good intentions. 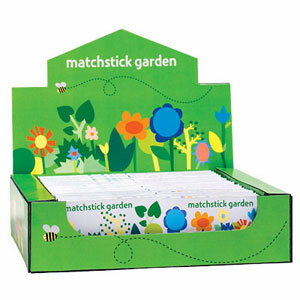 At the tip of each match is a wildflower or herb seed mix. Simply tear off a match, plant in any pot or plot, and spread the joy (and green the space). Easy to follow instructions are printed inside. They are the perfect stocking stuffer, party favor, hostess gift or Secret Santa gift. Easy enough for kids, too! Equip your kitchen for lean and green cuisine with this staple you'll use all year long. "It's a perfect tool for people who still eat meat or poultry, but who want to eat smaller portions of it to help shrink their carbon "foodprint", says Jackie Newgent, RD, culinary nutritionist and author of Big Green Cookbook. By pounding a 3-ounce portion of grassfed beef sirloin or organic chicken breast between two sheets of unbleached parchment paper, the portion will look more than a 4- or 5-ounce portion; it'll also cook faster (since it's thinner) and it will cook more evenly too – creating a tastier finished dish. How can one go wrong with a company that claims to be "dedicated to chocolate alchemy"? I love both of these companies because they have a strong commitment to sustainability-and as I've blogged before chocolate is one of the most critical foods to choose organic/fair trade when it comes to treating the planet sweetly. If you can bring yourself to nibble just 1 oz. 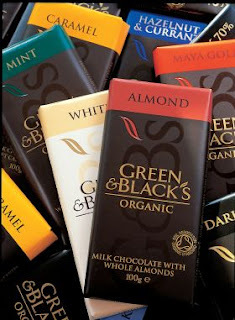 a day, the health benefits land you squarely in the realm of "where delicious meets nutritious" – the flavonols in high quality dark chocolate are a cocktail of powerful compounds that help keep your blood pressure and cardiovascular system healthy. Try the luscious lavender blueberry bar, or the premium organic cacao powder with chiles and spices for an unforgettable hot chocolate experience. If you're impatient (like me), pouring soup into a blender is a hot, potentially dangerous endeavor. This handy gadget is super quick, easy to clean and lets you whip up blended soups, sauces, jams (and even that bit of whip cream over the holidays). Why is it greener? It uses less energy than a blender or food processor, and if you puree directly in the pot you'll eliminate the need to wash a pan, a greener move still. Instead of a plastic cutting board (which is petroleum based), these greener swaps are made of renewable, eco-friendly bamboo that's durable and long lasting in your kitchen. Plus, they're so pretty they can double as a serving platter for cheeses, seasonal fruit, even sandwiches at the next playdate or book club. Another great multitasker that cuts cleanup for the chef. Another bamboo idea: Got a sushi lover? Or someone who simply likes a beautiful presentation to their lunch? I LOVE this Totally Bamboo Sushi Gift Set - tuck a Sustainable Sushi Guide inside, and give a gorgeous greenover to your loved one's lunch. While a somewhat pricier gift up front, this revolutionary gadget will completely slash the grocery bill and eco impact of the die-hard soda or sparkling water devotee. It turns ordinary tap water into fresh sparkling water in seconds – no bottles or cans, no lugging heavy pallets of brew home from the grocery store (liquids are one of the heaviest items to transport, which requires more gas). 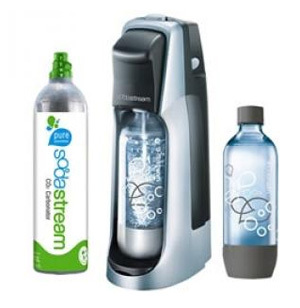 According to the company, Soda Stream slashes a whopping 2,000 bottles and cans each year from the average family waste stream, so the cost, and eco savings will add up quickly. Another bonus? They use BPA- free bottles. Have other must-have tools for your kitchen this year? I'd love to hear about them.